Great Opportunity to Live and Work within your own home. Previously a Hair Salon, this mixed use building provides approx 784 Sq. Ft of space on the first level for your business and the home provides an additional 1760 Sq Ft. of living or rental space. 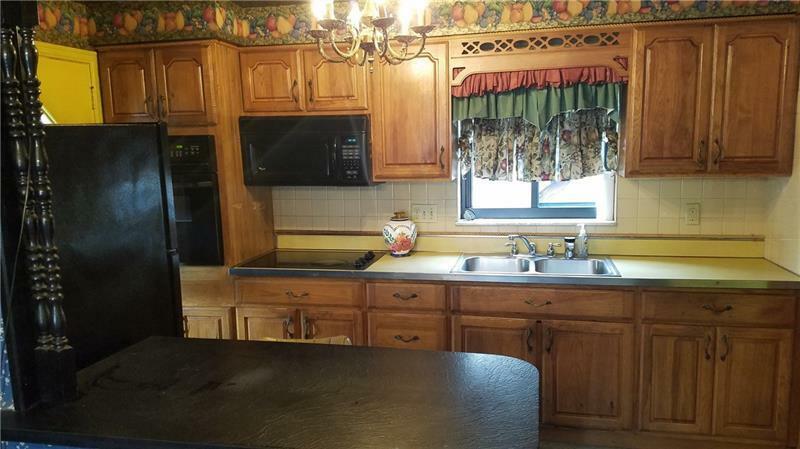 The Eat In kitchen in the home features Range, Built in Oven, Refrigerator and Microwave. 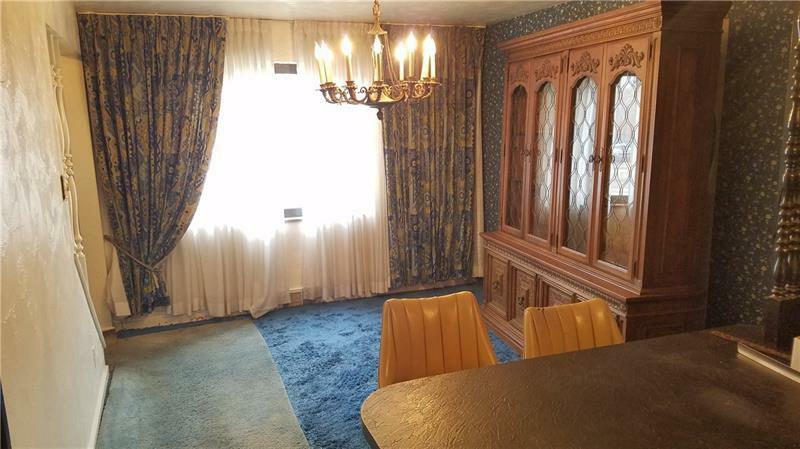 The Dining room has a Chandelier and the Spacious Living Room provides a decorative fireplace. The living room opens to a rear covered deck and huge private patio/lawn area. A storage shed is on the Patio. Three bedrooms on the third level provide deep closets. Master bedroom has walk in closet. Tile bath is located on this floor. Hardwood flooring is underneath the carpeting. Newer Furnace, A/C, Hot Water heater and Roof. 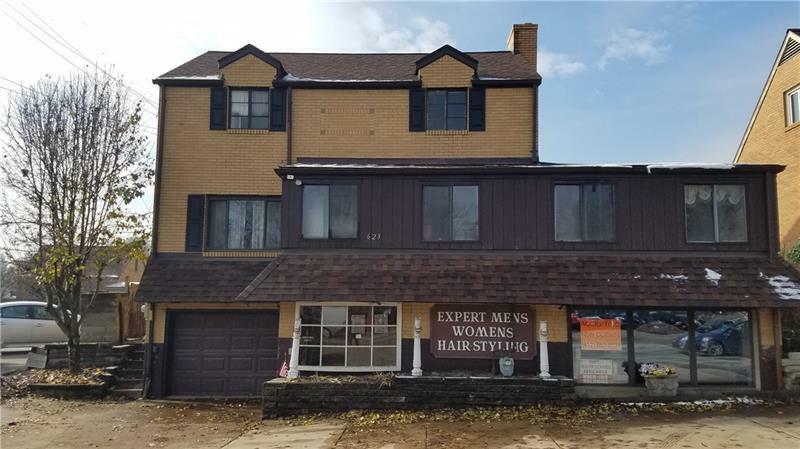 Potential Insurance office, Pizza Store, Hair Salon, Medical/Dental, Accounting, or Office space on a High Traffic Location with parking in front for 6 cars. 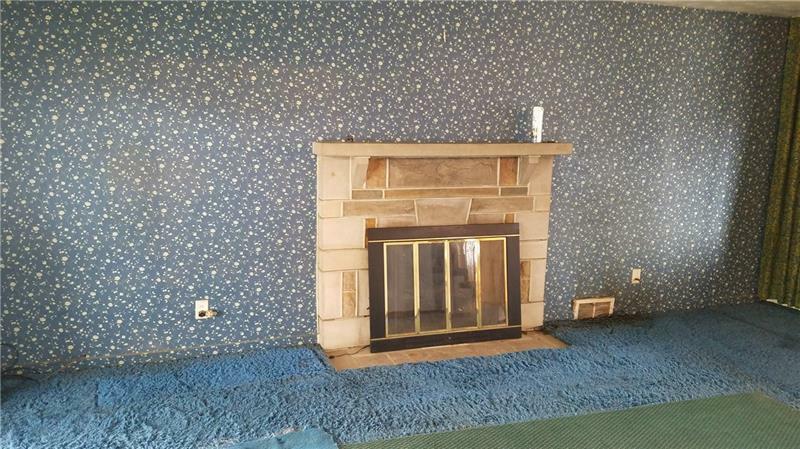 Minutes to Downtown Pgh, No. Hills Shops, Local Business, Schools.